My mom has been making this simple recipe for banana bread my whole life. The first time I tried someone else's I thought, "Why is this dry? It's not supposed to be!" Well with this recipe it won't be. Mix in (or sprinkle on top) chocolate chips, nuts, etc. Anything goes. I prefer it served as muffins but we like mini loaves, too. Like I said, anything goes. So mush up those brown bananas sitting on the counter and make your husband some moist, delicious banana bread. You won't regret it. Preheat the oven to 350. Line a muffin tin with paper wrappers (or grease) and set on a silicone lined sheet. Set aside. In a mixer, cream butter and sugar. Add eggs and beat until combined. Add bananas, milk, lemon and vanilla and mix until combined. Add dry ingredients (sift if you're feeling motivated) and gently mix in. Mix in nuts or chocolate (or reserve to sprinkle on top). Use a medium ice cream scoop to portion batter into muffin tins (about 2/3 full). Bake for 20-25 minutes (35-40 for mini loaves), let cool, and enjoy! I bet hubby will love this! I can smell them baking right now. Anne, You're speaking to my soul with this recipe! 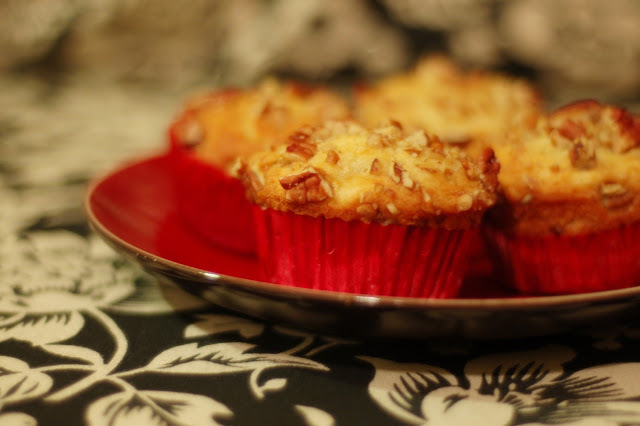 These look wonderful, I've made a real basic banana nut muffins many times. I need to give yours a try and I dont know why I never thought about putting nuts directly on top. Now I'm hungry. Note to self never get on here without eating first. How delicious it looks. Wish you could send me some. There's nothing like the banana bread recipe one's mom made, I agree! 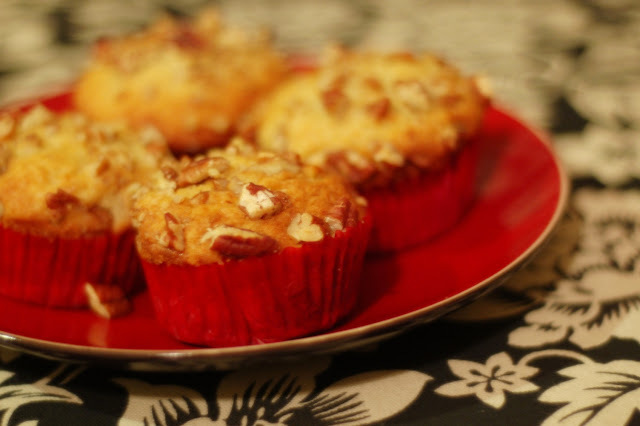 I am not a big fan of bananas in baked goods, but those muffins look wonderful!